"The average racing fan watching at home may not understand all that goes into making a NASCAR race happen each week. It requires a whole fleet of expert technicians who work wonders before the race ever begins. We’re so thankful for them." 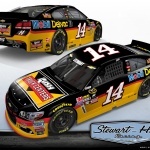 TALLADEGA, Ala.--(BUSINESS WIRE)--For the second consecutive race season, ExxonMobil and Rush Truck Centers are sponsoring Tony Stewart’s No. 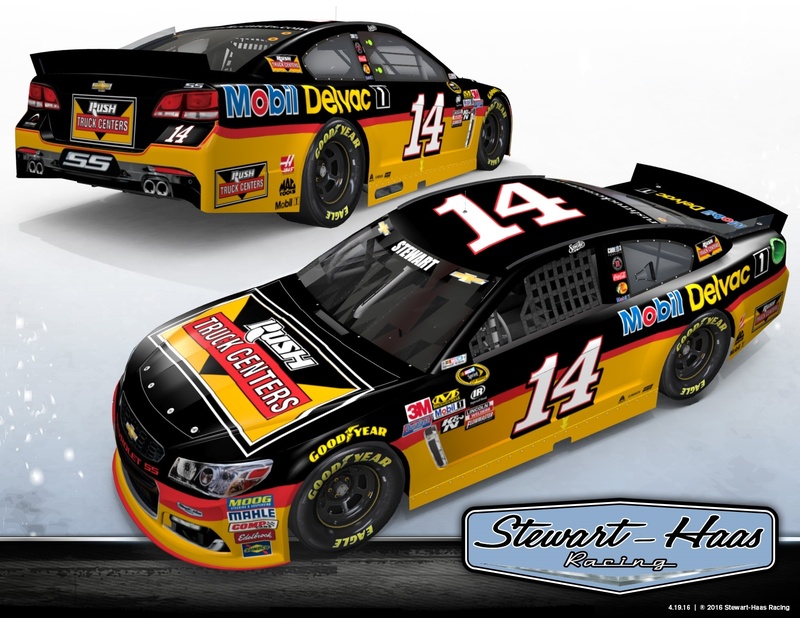 14 Stewart-Haas Racing (SHR) Chevrolet. Both brands will be featured on Stewart’s racecar – Rush Truck Centers on the hood and Mobil Delvac 1 on the rear quarter panel and deck lid – for the Alabama 500 NASCAR® Sprint Cup Series race at Talladega Superspeedway, helping to promote a program highlighting the need for more truck technicians and saluting these vital behind-the-scenes professionals. Before they hit the road to Talladega, Stewart and his No. 14 Rush Truck Centers/Mobil Delvac 1 team will visit a Charlotte-area Rush Truck Centers location to learn from technicians and help perform a diesel motor oil change. The visit coincides with a discounted Mobil Delvac product and oil change promotion, available at all Rush Truck Centers locations nationwide during the month of October*. Experienced truck technicians have never been more vital. The American Trucking Association estimates that an additional 200,000 technician professionals will need to be developed over the next 10 years to meet service maintenance demands industry-wide. Concurrently, it is expected that 40 to 50 percent of truck technicians will retire before 2030. Through a Technician Referral program, existing Rush Truck Centers employees have been encouraged to recommend a new technician, with a lucky participant winning a trip to Talladega Superspeedway to watch Tony Stewart pilot his No. 14 Rush Truck Centers/Mobil Delvac 1 Chevrolet in the Alabama 500 live. In addition, for each successful hire, the technician who made the referral is eligible to receive $1,000. Fans can see behind-the-scenes footage of the No. 14 team’s Rush Truck Centers visit by following @Mobil1 and @RushTruckCenter on Twitter throughout the Talladega race week. The Alabama 500 will be broadcast live from Talladega Superspeedway on NBCSN at 2 p.m. ET on Sunday, October 23. *The Mobil Delvac product promotion includes one-gallon jugs for $12.95 and five-gallon pails for $49.95 of Mobil Delvac 1300 Super 15W-40 engine oil. Additionally, customers can save $25 on a preventative maintenance service with any Mobil Delvac engine oil, now through October 31. Rush Enterprises, Inc. is the premier solutions provider to the commercial vehicle industry. The Company owns and operates Rush Truck Centers, the largest network of commercial vehicle dealerships in the United States, with more than 100 dealership locations in 21 states. These vehicle centers, strategically located in high traffic areas on or near major highways throughout the United States, represent truck and bus manufacturers, including Peterbilt, International, Hino, Isuzu, Ford, Mitsubishi, IC Bus and Blue Bird. They offer an integrated approach to meeting customer needs — from sales of new and used vehicles to aftermarket parts, service and body shop operations plus financing, insurance, leasing and rental. Rush Enterprises' operations also provide CNG fuel systems, telematics products, vehicle up-fitting, chrome accessories and tires. For more information, please visit us at www.rushtruckcenters.com, www.rushenterprises.com and www.rushtruckcentersracing.com, on Twitter @rushtruckcenter and Facebook.com/rushtruckcenters. Racing provides the Mobil brand the ultimate testing ground to improve the technology in our range of oils and lubricants. Through each race season, our advanced products go to work in race cars to help improve their performance and efficiency. Mobil 1TM motor oils serve as the lubricant of choice for many of the world’s top race teams who compete in some of the most demanding and popular motorsports series in the world. The knowledge we gain through these partnerships is integral to how our scientists and engineers develop technologies and constantly push the boundaries. Today, Mobil 1 is proud to partner with Stewart-Haas Racing in NASCAR’s Sprint Cup Series, McLaren-Honda Formula One team, Porsche, Bentley and TOYOTA GAZOO Racing in the FIA World Endurance Championship, Corvette Racing and Porsche North America’s IMSA WeatherTechSportsCar Championship teams and numerous teams competing in the Pirelli World Challenge. 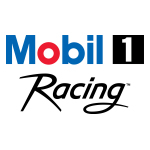 Along with its status as the Official Lubricant Technology Partner and Official Motor Oil of NASCAR, Mobil 1 serves as the title sponsor of the Porsche Mobil 1 Supercup and the Official Motor Oil of the Sports Car Club of America. 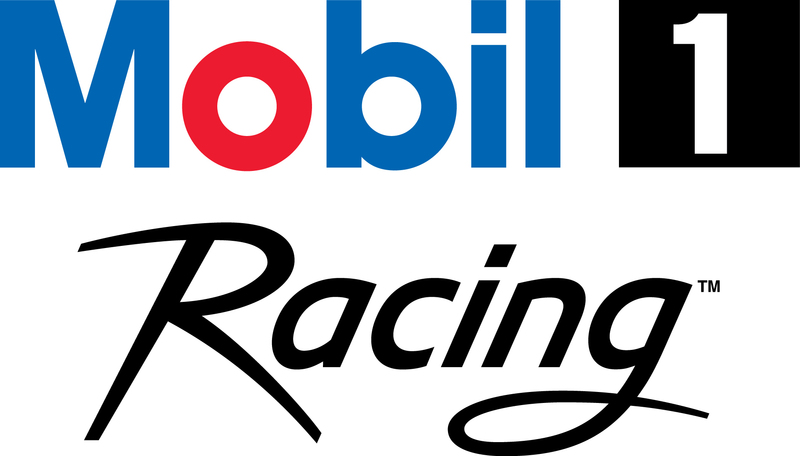 Additionally, Mobil 1 technology is used by more than 50 percent of teams in NASCAR’s top three series and ExxonMobil provides Mobil 1 racing oil technology to TRD-supported NASCAR teams. For more information, visit: www.Mobil1Racing.com. Mobil Delvac™ heavy-duty diesel engine oils can help deliver enhanced performance with their unique formulations that include Trimer Core chemistry -- a powerful additive technology that helps resist oil degradation, reduce sludge build up, prevent wear, and ultimately helps extend drain intervals and engine life. For more information on Mobil Delvac commercial vehicle lubricants and services, please call 1-800-Mobil25, or visit MobilDelvac.com. Stewart-Haas Racing is the title-winning NASCAR Sprint Cup Series team co-owned by three-time Sprint Cup champion Tony Stewart and Gene Haas, founder of Haas Automation – the largest CNC machine tool builder in North America. The team fields four entries in the elite Sprint Cup Series – the No. 14 Chevrolet for Stewart, the No. 10 Chevrolet for Danica Patrick, the No. 4 Chevrolet for Kevin Harvick and the No. 41 Chevrolet for Kurt Busch. Based in Kannapolis, N.C., Stewart-Haas Racing operates out of a 200,000-square-foot facility with approximately 280 employees. For more information, please visit us on the Web at www.StewartHaasRacing.com, on Facebook at www.Facebook.com/StewartHaasRacing, on Twitter @StewartHaasRcng and on Instagram @StewartHaasRacing.